Sporting B got their first win after coming from behind against Sporting da Covilhã. The home side led through Agostinho Soares at half-time but a goal from Ricardo Almeida and an own goal from Éder Díez gave Sporting the win. João de Deus made one change from the team that lost against Portimonense with a debut for 16-year old Elves Baldé in the place of Bilel Aouacheria. It was a fairly even game from both teams with chances at either end. Ronaldo Tavares and Ricardo Almeida looked dangerous for Sporting going forward. Pedro Silva, in the Sporting goal, was needed to make some excellent saves. He was eventually beaten by Agostinho Soares just before the break. Sporting improved in the second-half and eventually equalised through Ricardo Almeida after some good work from Pedro Empis on the left wing. After the goal Almeida was replaced by another debutant, 18-year old Pedro Marques. 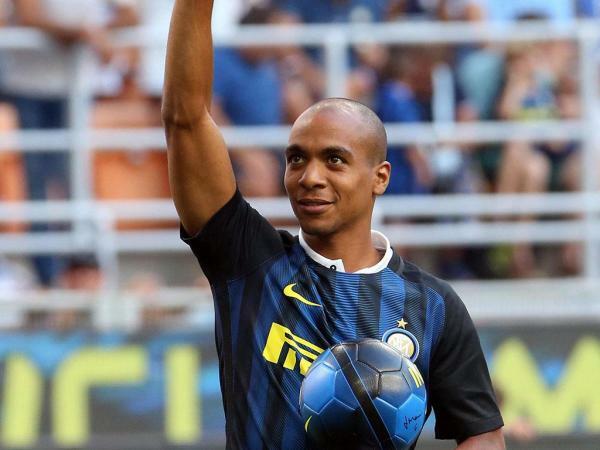 The winner came in the 76th minute when Mama Baldé’s shot rebounded off of Spanish forward Éder Díez. Late on in the game Guilherme Ramos was sent off but Sporting managed to hold on the secure the win. Sporting players and former academy products were in action last night in the Rio 2016 Olympic Games. 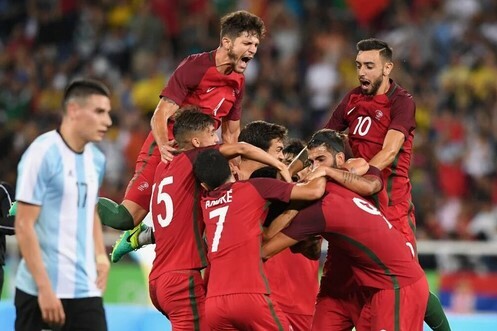 Portugal beat Argentina 2-0 thanks to goals from Gonçalo Paciência and Pité. Included in Rui Jorge’s starting XI were Tobias Figueiredo and captain Ricardo Esgaio. André Martins, Edgar Ié and Tiago Ilori also featured with Carlos Mané an unused substitute. 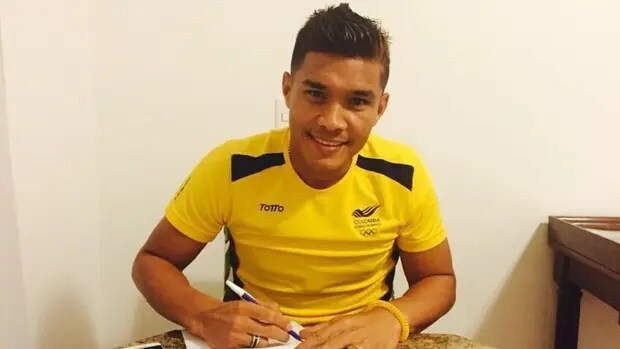 Teófilo Gutiérrez also scored for Colombia in their match against Sweden but it is uncertain how much longer he will be a Sporting player. Sporting have bolstered their attacking options for the B team with 2 signings. The first is the loan signing of 22-year old Bilel Aouacheria from Sporting Covilhã with an option to buy. The second is another loan signing, of 19-year old Portugal youth international Ricardo Almeida from Moreirense for 2 seasons. With Eduardo seemingly on his way to Chelsea, Sporting are apparently close to signing Beto as the new back up goalkeeper to Rui Patrício. According to the Portuguese press, Beto just needs to complete his medical before signing a 2-year contract with the option of an extra year, he has been out of contract after his spell at Sevilla. Beto will be returning to Sporting after having been at the club from 1995-2004. Abel Ferreira had Eric Dier back for a game in the B team and so the England U21 player started in defensive midfield. The returning Fabrice Fokobo and Betinho started from the bench. With Sporting da Covilhã 5th in the Segunda Liga table at the start of the game. In fact, Francisco Chaló’s Covilhã had not lost a game since August. There will be concern for Abel and his team when midway through the first-half when Salim Cissé had to be replaced due to injury by Betinho with just 39 minutes of the game gone. The game was perhaps most notable for its sendings off with Covilhã being reduced to 10 men after 43 minutes when Alex Kakuba was sent off. After the break it was Sporting B’s turn to go to ten men when Carlos Mané, one of the best players on the pitch, was also sent off after receiving his second yellow card of the game. Sporting B took the lead late on in the 80th minute through substitute Betinho. The returning striker then doubled his lead just 6 minutes later to seal the win. It’s a great result for Abel Ferreira’s side as they seem to have shaken off their poor run of form at the start of the season with 3 wins out of the last 3 games against some of the best teams in the Segunda Liga. It’s been a while since our last update so there’s plenty of news to catch-up on before Sporting take on Rio Ave in the first home league game of the season tomorrow. Firstly, last Sunday the Primeira Liga returned to action last weekend and Sporting took on Vitória de Guimarães at the Estádio D. Afonso Henriques and the game ended a dull 0-0 after a promising opening. Fortunately Braga, Benfica and Porto also drew all of their opening league games so a false start is not too bad. After that Sporting opened up their Europa League campaign with a trip to Denmark to face AC Horsens. Again Sporting drew but managed to get a goal too courtesy of André Carrillo after Martin Spelmann opened the scoring for the home side.. Indeed, Ricky van Wolfswinkel will feel aggrieved that he failed to score when the Dutchman wasted a couple of chances throughout the game. The performance at the very least, was an improvement over the game against Guimarães. There was also news that Rui Patrício has signed a new contract with Sporting taking him with the club all the way until 2018. 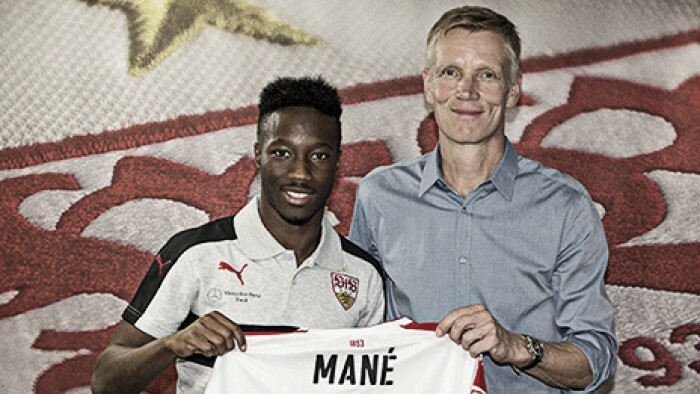 This will at least put any transfer rumours to bed for a few days. 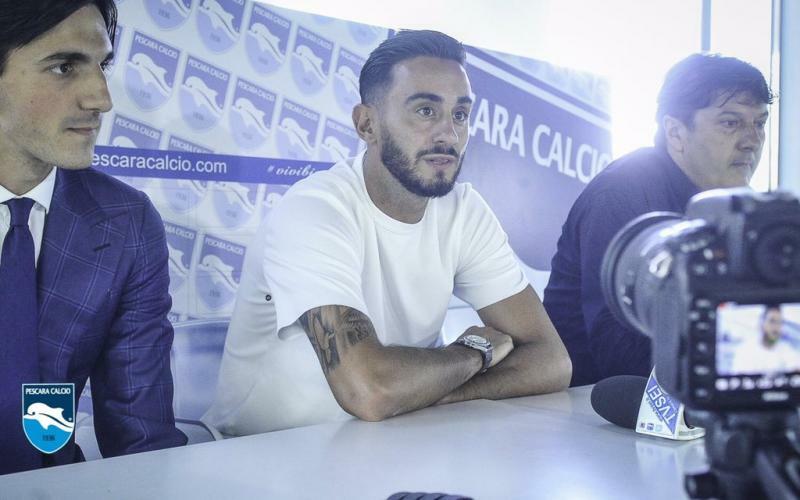 Patrício said that he was “very happy with this outcome” and “renewing with Sporting was something I really wanted”. Rui also said how he wanted to help the younger players out whilst at Sporting to improve their development. 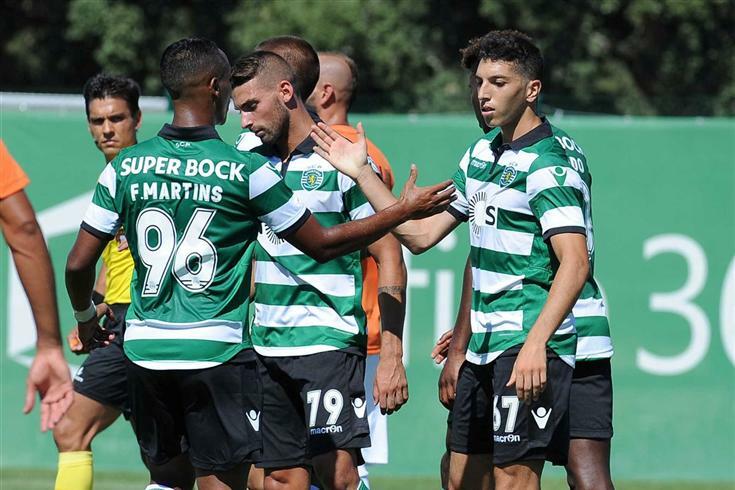 Sporting B picked up their first competitive win since they returned to action this season. Sporting won 2-1 against Sporting Clube da Covilhã after going behind to Gilberto’s early strike. It was Betinho and Diego Rubio (returning from suspension) who got the goals for Oceano. João Gonçalves stepped in for Santiago Arias who was injured in the last game against Guimarães B. Pedro Mendes also saw a red card after receiving a late second yellow card meaning he would miss the next game against Atlético Clube de Portugal. Atlético Clube de Portugal proved a tricky tie for Oceano da Cruz’s men at the Estádio Tapadinha. The game was very even with Victor Golas being Sporting’s best player for most of the game. Bruma was the man who made the difference with an excellent strike to put Sporting ahead after 72 minutes with Atlético goalkeeper Filipe Leão helpless to stop it. Sporting went further ahead just 5 minutes later via another Ricardo Esgaio penalty after a handball in the area. Atlético pulled a goal back in the 82nd minute when Hugo Carreira headed in from close range to set up a very nervous finish for Sporting. The game was made certain in the very final seconds when Gaël Etock ran through a tired Atlético defence and slotted under Leão to give Sporting B another win.